Are You Ready for Soup-A-Bowl?!! Learn how to make bowls for this year’s Soup-A-Bowl! 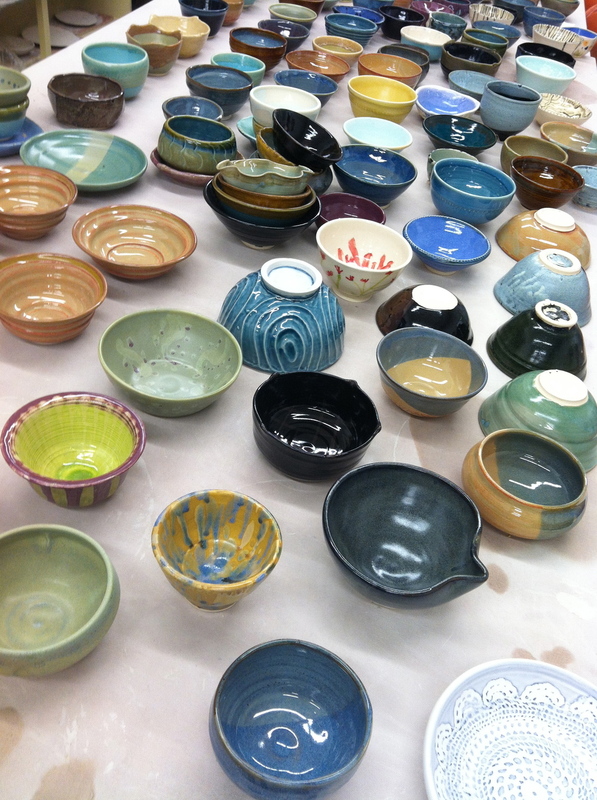 Register for a special 7-week PFP Soup-A-Bowl class at Art Centro where you can learn hand-building and throwing techniques for making beautiful bowls! Classes are 6:00 to 8:30 p.m. Monday nights beginning July 6th through August 1st (minimum 6 registered participants). Register by calling 845-454-4525 or by email at ceramics.artcentro@gmail.com with “PFP Soup-A-Bowl” in the subject. Cost for course for the 7-week course is $140 (normally $175); firing fees for Soup-A-Bowl bowls are covered by the PFP. House at Vassar College. This fundraiser features soups, pottery, a raffle, silent auction, and live music. Proceeds benefit the charitable and educational programs of the PFP. See farmproject.org for more information. For experienced potters we are having a series of Soup-A-Bowl Bowl Making Parties! at your convenience. Please check-in with the studio assistant upon arrival. For open studio times, please check the ArtCentro website at artcentro.org or call 845-454-4525. For more information about making or donating bowls for the Poughkeepsie Farm Project Soup-A-Bowl, contact Karl Kruszynski at 845-486-4048. For more information about Soup-A-Bowl 2016 event click here.